What started as a search for new furnishings turned into a full renovation of this treasure of a waterfront home. Wikipedia defines beachcombing as an activity that consists of an individual “combing” (or searching) the beach and the intertidal zone, looking for things of value, interest or utility. 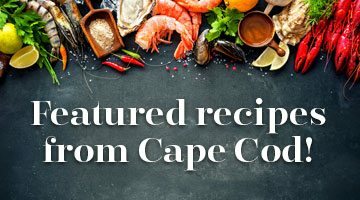 The day that a lucky Ohio couple vacationing on the Cape discovered a mid-century beach cottage perched above Cape Cod Bay in the seaside Sandwich neighborhood of Scorton Shores, they became world-class beachcombers. “Within a short amount of time, we realized we absolutely loved Sandwich,” she recalls. “As much as everyone is in a hurry to get farther down the Cape to other towns, we were perfectly content to enjoy this sweet village at the top of the Cape.” One day, as they considered putting down some semi-permanent roots, they saw a small cottage for sale with a heart-stopping view, and bought it that evening. The home had the benefit of only one previous owner, who built it in the late 1950s for their family as a summer vacation spot. As a result, it was a lovingly cared for home that had good, solid bones. “The previous owners had taken such good care of the home; it was a real treasure for us to find it,” she says. But the home did need furniture and a bit of updating to make it their own.